It all started with a fat day. Felt fat in all my swimwear; moped about feeling all restless and listless and distracted myself from playing Plants vs Zombies AGAIN by stuffing my face with grilled cheese sandwiches, chicken wings, hot dogs and barbecued pork neck; found myself hitting up Victoria's Secret for new bikinis (when you feel fat, it's best to blame the garment). Found this amaaaazing acid wash corset top which probably would only exacerbate the fatness situation, and immediately gave up on ever feeling attractive again. Thus decided to steer clear of items that might send my self-esteem plummeting and went spiraling towards shoes and located kicky acid wash open-toe booties that cost next to nothing on Urban Original. Contemplated giving up my next handbag quota to this Dusen Dusen backpack. 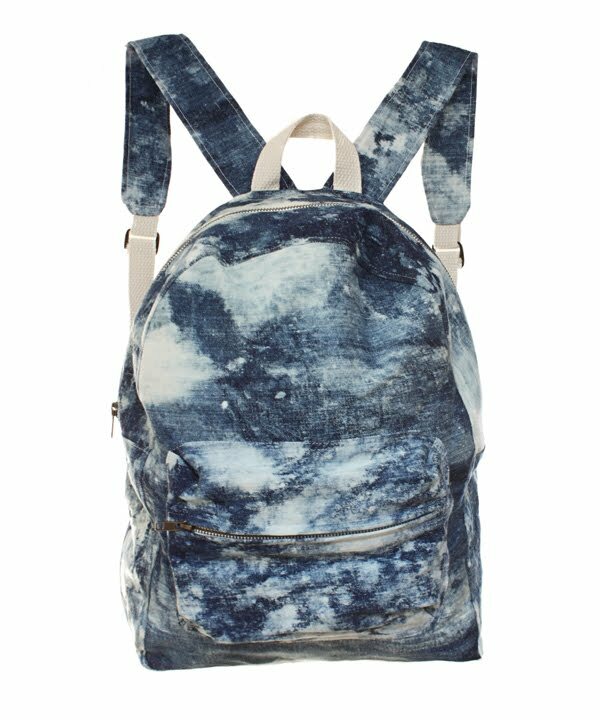 Started to realize that this photo of a backpack kind of resembles my belly. Resolved that the next bag quota is reserved for the PS1 once I decide which colour. 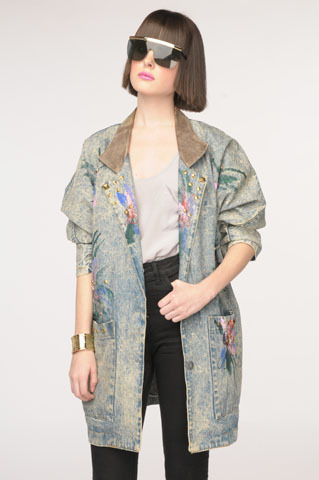 Fell mysteriously in love with this cheesy vintage denim blazer from Nasty Gal. And then promptly wondered when I became the kind of person to drop over a G HKD on a secondhand jacket. THRIFT, people. And also reminded myself that a blazer is a stupid garment to buy in the summer in Hong Kong. 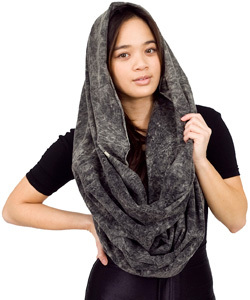 Much more practical is an American Apparel acid wash circle scarf-slash-a million other things. Love convertibles. And speaking of which, this would be perfect IN a convertible to keep your hair from whipping you in the face. What else is great? Elastic waistbands, which expand with your growing stomach. Ah, American Apparel. Clothing for real people, no retouching. So simple. So genius. Acid wash denim shorts. So if they don't retouch, why does the girl in the red version look so skinny? That's her real body? I feel fat. "And it's a fat day all over again," she types, as she chugs on a large-sized bubble tea, wondering when she became the kind of person who refers to herself in the third person. 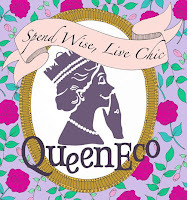 This blog was brought to you by paranoid brain, the overstuffed stomach and the materialistic black heart of hkShoeGeek.